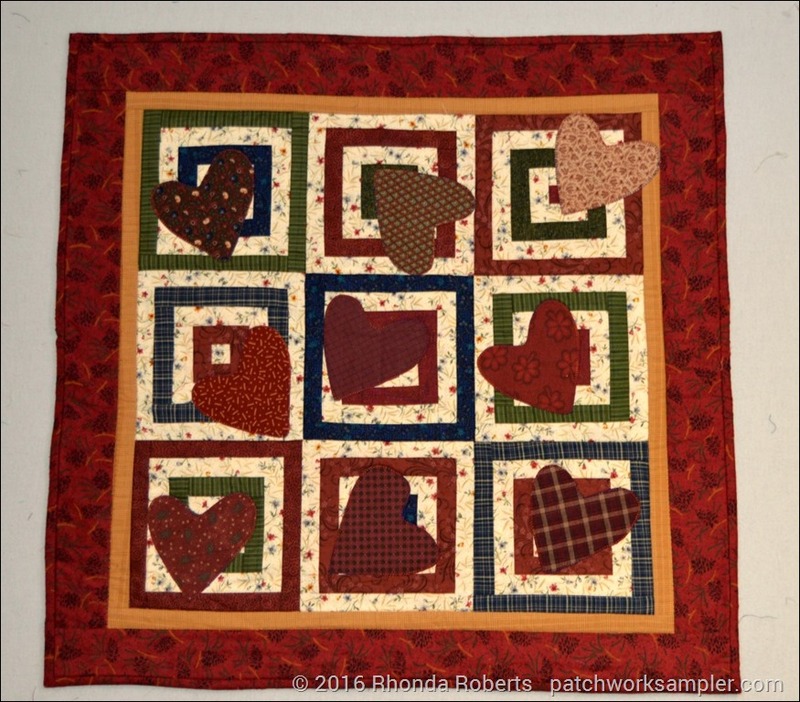 Last weekend I stitched down the appliqued hearts and binding on this Tossed Hearts wall hanging, the second of my July UFO’s to finish. It looked kind of boring but I didn’t want to spend much more time on it so I sewed buttons on the hearts. That helped some, but I should have placed a little contrasting square of fabric behind the buttons. Oh well, it would just take a few more minutes to re-do it, but for now, I’m calling it finished. Maybe next Valentine’s Day I’ll be more ambitious about it. So with July’s two UFO’s finished, I drew numbers for the August projects. 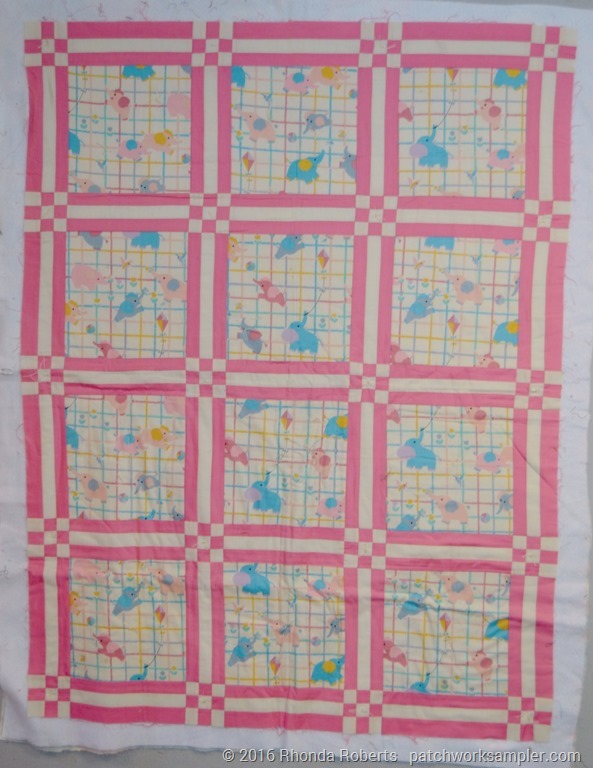 The first is this cute little pink elephants baby quilt. 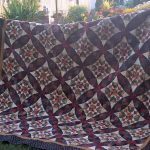 Years ago, I used the top for a demonstration on tying quilts so it has been tied. 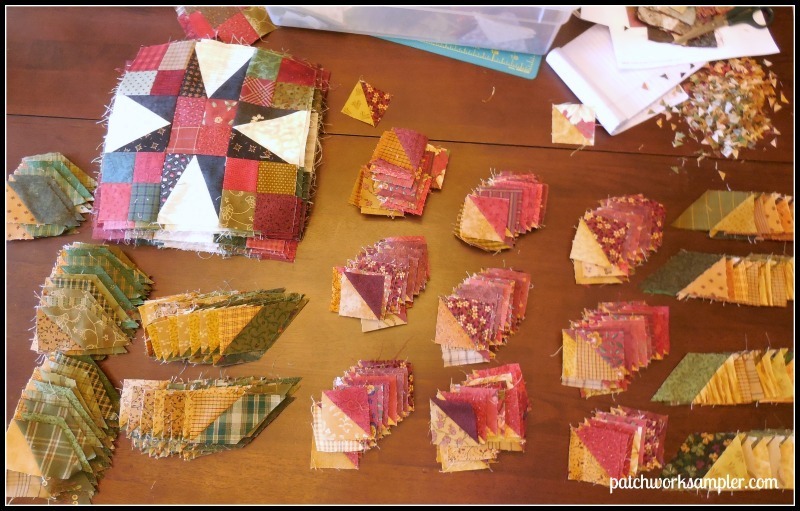 All along, I thought I would cut off the ties and quilt it so that’s what I plan to do this month. That is the sweetest little Hoffman elephant print so hopefully it will make some little girl happy when it’s finished. The second number corresponded to this little wool table mat. 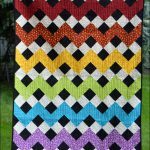 All the hand stitching is done and I think it’s supposed to have tongues around the edge, but the pattern is no longer with the project so I’m not sure how it’s supposed to be finished. 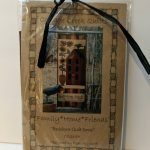 I think it was an All Through the Night (Bonnie Sullivan) pattern but it doesn’t show up on her website. 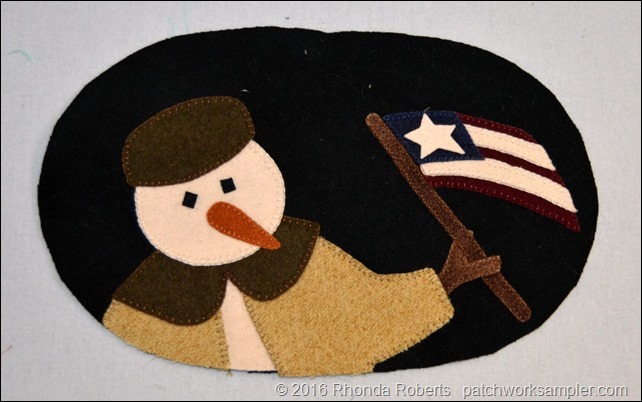 I don’t want to dig for the pattern and a Google search doesn’t turn up anything similar when I looked for “wool snowman with flag.” Honestly, wool applique is just not my thing. I admire it, but don’t want to do it and am out of places to display things like this. Plus, this design is conflicted—is it for winter or 4th of July? I’ll give it a bit more thought as to how I might finish it without the tongues, but my gut instinct is to just pitch it and move on to something I want to make. I love the button idea. It looks great. Calling it done is the best thing, and don’t rethink it next year. 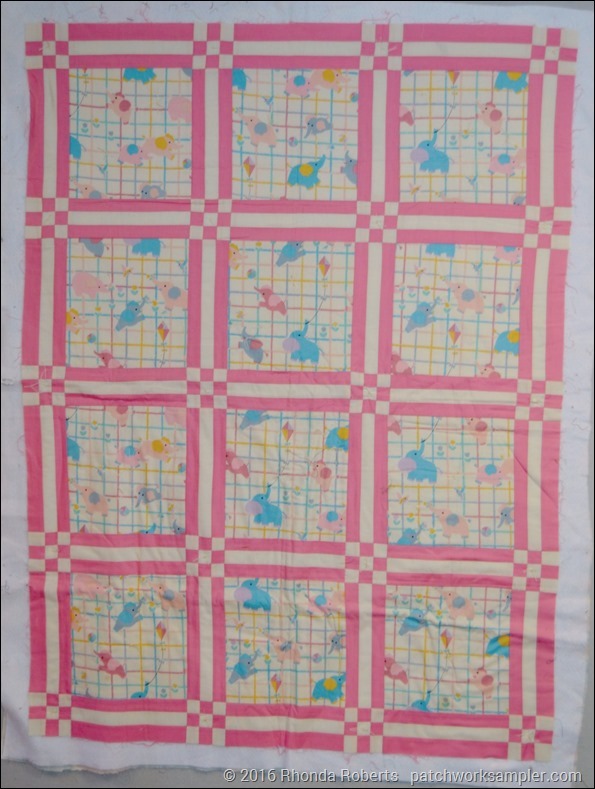 LOL A little girl will love that pink quilt. Such a cute elephant fabric. 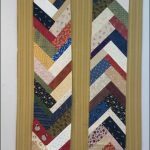 I was curious about the wool penny rug and went looking. Couldn’t find it either, but I found some great ideas for finishing it. However, if you aren’t into wool, maybe just moving on is good. You could toss it my way instead of in a box or the garbage, though. LOL I DO like wool projects and am now filled with finishing ideas! If you want to see them, let me know. I saved pictures.